This is our rich topsoil that is run through a large screener. This process makes the topsoil very easy to spread; and makes the material excellent to grow grass, fill in areas in your yard, and to make a positive grade along your foundation. 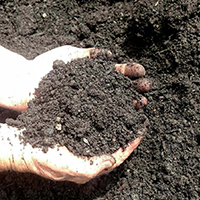 Our nutrient filled Garden Mix is perfect combination of Top Soil and Compost. This product is well mixed and perfect for flower beds and vegetable gardens. Essential for enriching garden soil, a must have for the vegetable garden. 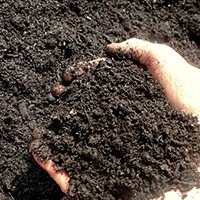 Our compost acts as a storehouse of nutrients and other essential elements. It greatly influences the exchange capacity of the soil by allowing the plant to more readily absorb the natural minerals compost contains. 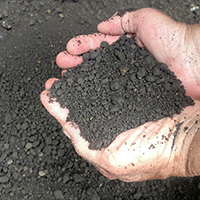 It improves soil aggregation and is a great soil conditioner. 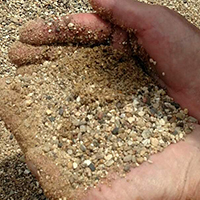 Torpedo sand provides exceptional drainage with very small chips in the slightly rougher sand. Great for compaction for under pavers, drainage, sandboxes, and more. Using the rougher sand for sandboxes is wonderful, because the sand is not fine it can be brushed off kids easier!